Alok Gupta is the Associate Dean of Faculty and Research and Curtis L. Carlson Schoolwide Chair in Information Management at the Carlson School of Management, University of Minnesota. He was the chair of the IDSc Department at the Carlson School from 2006 to 2014; before coming to Carlson School, he was an Assistant Professor at Dept. of OPIM, University of Connecticut from 1996 to 2001. He received his Ph.D. in Management Science and Information from the University of Texas, Austin. In 2014 he was named an INFORMS Information Systems Society (ISS) Distinguished Fellow. He was chosen as the Editor-in-Chief of ISR with his first term starting in January 2017. 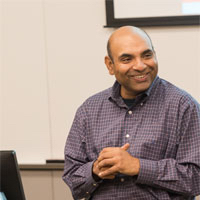 His research has been published in various information systems, economics, and computer science journals such as Management Science, ISR, MIS Quarterly, CACM, JMIS, Journal of Economic Dynamics and Control, Decision Sciences, Journal of Operations Management, Computational Economics, Decision Support Systems, and many other high quality Journals. In addition, his articles have been published in several leading books in the are of economics of electronic commerce. He was awarded a prestigious NSF CAREER Award for his research on dynamic pricing mechanisms on the internet. His research has won numerous awards including IS Publication of the Year award from AIS and ISS Design Science award twice in 2011 and 2012. From 1999-2001, he served as co-director of Treibick Electronic Commerce Initiative (TECI), an endowed research initiative at Dept. of OPIM, University of Connecticut. He is also an affiliate of the Center for Research in Electronic Commerce (CREC) at the University of Texas at Austin. He served as Senior Editor for ISR and an Associate Editor for Management Science. He has been serving as Publisher of MIS Quarterly since 2005. He teaches courses in the areas of computer networking, electronic commerce, decision support, IT infrastructure, and computer programming at the undergraduate, MBA and Ph.D. levels. 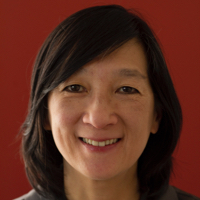 Olivia Sheng is Presidential Professor and Emma Eccles Jones Presidential Chair of Information Systems at the David Eccles School of Business. She also directs the Global Knowledge Management Center (http://gkmc.utah.edu) to seek research and education extension of business intelligence and analytics, and organizes one of the first academic conferences on business intelligence/analytics (http://gkmc.utah.edu/winter/) annually. Her research focuses on web, text and data mining as well as optimization techniques for clickstream analysis, social network analysis, search marketing, crowd-based predictive analytics, behavior targeting, bio-medical, digital government, telemedicine and telework applications. Her research has received funding from U.S. Food and Drug Administration, National Science Foundation, Overstock, Yahoo!, U.S. Army, IBM Tivoli, Toshiba Corp., Sun Microsystems, SAP University Alliance, and Wasatch Advisors. Currently, she engages companies in Utah such as Backcountry and Intermountain Healthcare Company to collaborate on research and capstone projects related to text mining and data mining. Dr. Sheng received the B.S. degree from the National Chiao Tung University in Taiwan, R.O.C. and the Master’s and Ph.D. Degrees in Computers and Information Systems from the University of Rochester. Prior to University of Utah, she was on faculty of Management Information Systems at the University of Arizona since 1985 and was the Department Head from 1997 to 2002. Dr. Sheng was visiting faculty at Hong Kong University of Science and Technology, Tokyo Institute of Technology, Shanghai Jiao Tung University, and Molde University College in Norway.